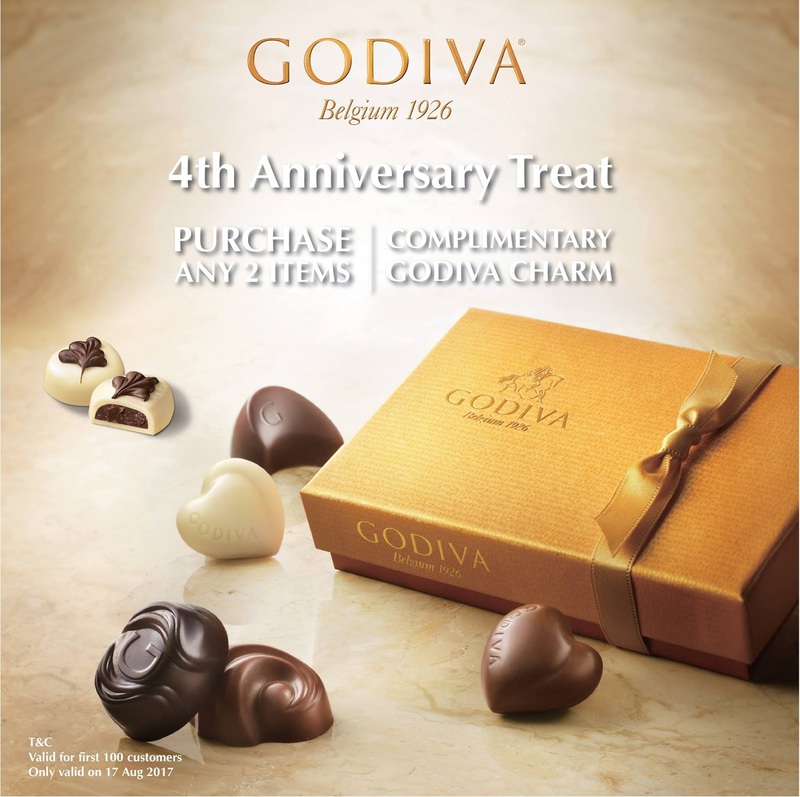 In conjunction with the 4th Anniversary of Godiva Chocolatier, Paragon, purchase any 2 items and get a complimentary Godiva Charm worth RM22. Hurry, it's only valid for the first 100 customers!!! — eating chocolates at Godiva Chocolatier, Paragon.